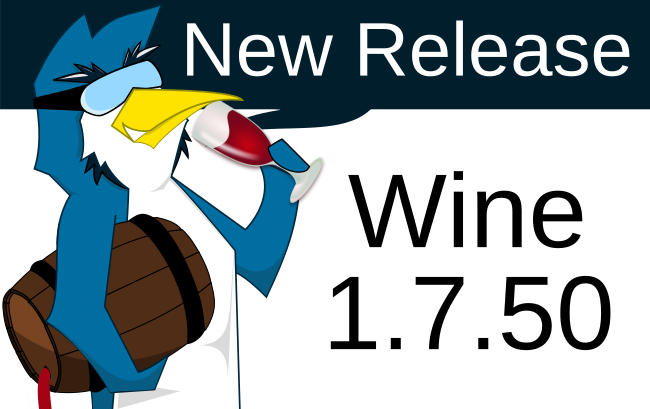 The Wine team released today another development release of their software. Version 1.7.50 has many small changes including 39 bugfixes, but also features the "first steps" towards Direct3D 11 implementation. To learn more, keep reading. New version of the Gecko engine based on Firefox 40. First steps of the Direct3D 11 implementation. Better font matching in DirectWrite. Support for OpenMP on ARM platforms. As you can see the Direct3D 11 implementation is slowly being introduced into the Wine codebase. While this is a really important first step towards further work, users shouldn't expect that they will be able to suddenly play Direct3D 11 games. Right now, the Wine team is preparing some of the existing Direct3D 10 code to be shared with Direct3D 11 one and not many new functions specific to Direct3D 11 were added this time. So it might have take a long time before a fairly feature complete implementation will be released. And before that, buying any games using Direct3D 11 will be only helpful, if you are willing to contribute to Wine development effort(most likely by writing new code, rather than submitting bugreports). Check out Page 2 for the list of fixed bugs! The work on Direct3D 10/11 is essential to have the CSMT patch merged (see : https://www.phoronix.com/scan.php?page=news_item&px=MTgxMDQ). This patch help to get better performances of Direct3D games/applications.